This project was created for a 7th grade ICT class. 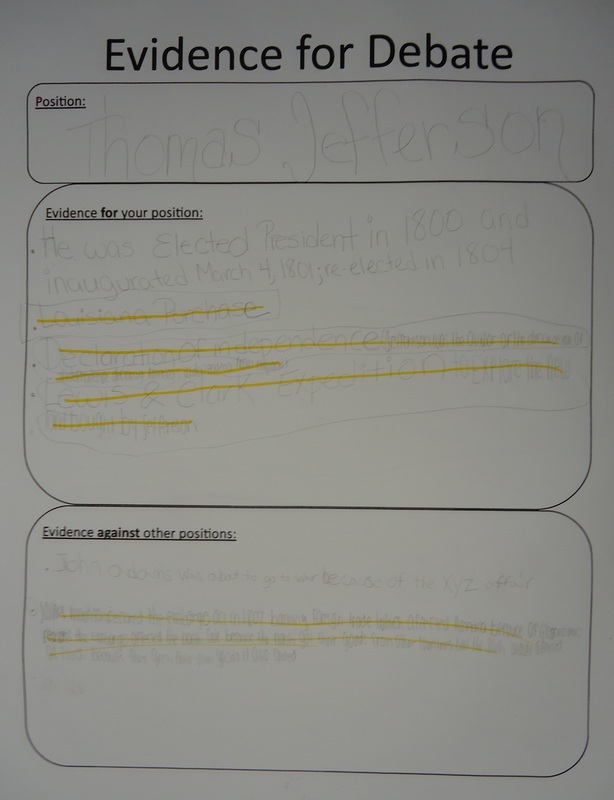 Students were assigned one of three presidents to defend as the best: George Washington, John Adams, and Thomas Jefferson. The students researched the presidents' accomplishments using a website I created, organized their information, and participated in a class debate. As shown in the picture, they also made wigs for the occasion. Evidence for Debate Organizer: This graphic organizer was blown up to the size of chart paper and distributed to each group.